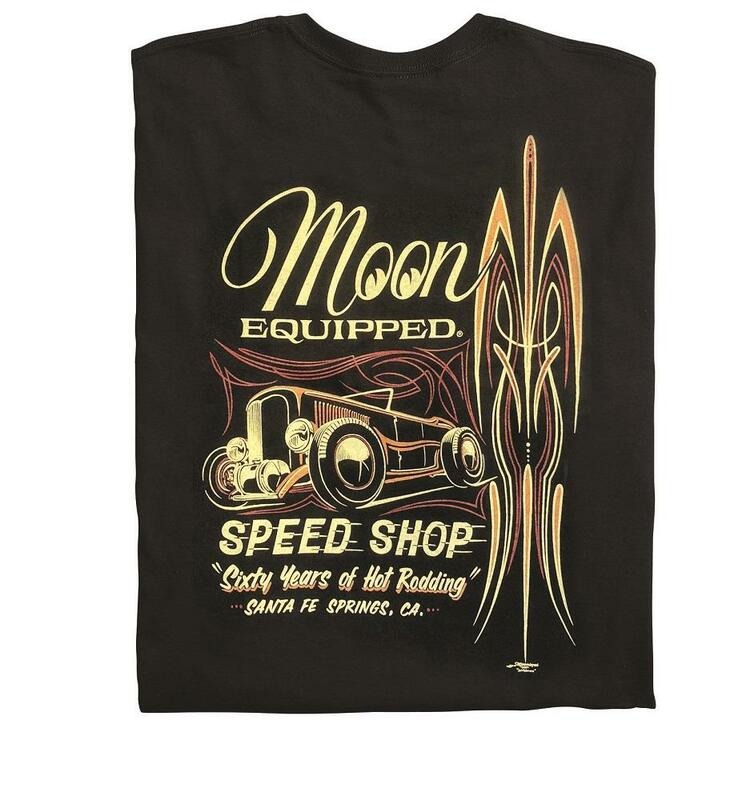 Mooneyes Moon Equipped Speed Shop Hot Rod T-Shirt Black MQT075BK - Free Shipping over $99 at California Car Cover Co. 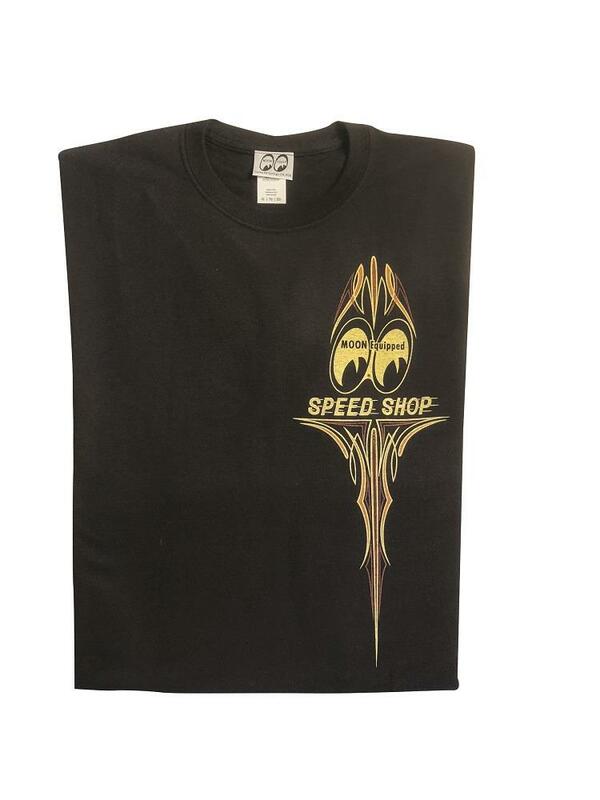 The Moon Equipped MQT075 Speed Shop Hot Rod short sleeve 100% cotton t-shirt features a cool illustration design on the back of a MOON Disc and steering wheel with lettering and a similar design with pinstripes on the front left chest. Silk screen printed in multiple colors on a black t-shirt. Large logo across on the rear and small logo on the front. Available in sizes small through 3XL.